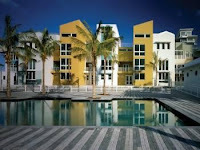 Real estate in Florida continues to offer exceptional opportunities for great buys. Newer homes, completed at the peak of the market are showing the sharpest declines in price but offer the best value. Almost new homes are 50% of the original purchase price. Experts say, "Time to get off the fence and buy in Florida." West Palm Beach, FL, December 09, 2011 --(PR.com)-- While property prices appeared to have stabilized in most metro areas throughout the US, Florida is still showing price drops. This means exceptional value in short sales, foreclosures and the fate of sellers who paid too much and now just want to get out. In some areas, buyers are picking up luxury country club homes in prime locations for 50% of the original purchase price. Tali Wolder, of Floridian International Realty, assists buyers purchasing in golf and other exclusive communities. She has one case that perfectly illustrates the current situation. Ibis Country Club is a world class golf community in West Palm Beach Florida. Many homes are newer, built in the past 5 - 8 years. She has an Ibis Country Club listing of a 4 bedroom plus den home with 3.5 bathrooms, decked out with very high end window treatments, most of the designer furniture is included and the home overlooks a private, deeded natural preserve. The Sellers paid $740,000 in 2006 for this 3,000 sq. ft. Ibis home, brand new from the developer. Now, they are offering it for $419,000. It’s hard to beat for a virtual turnkey property. This deal and many similar ones are being snapped up by eager buyers of second homes and foreigners looking for their place in the sun. The seller is not short selling the home; he's taking a huge loss but wants to preserve his credit and understands that a sale will only be successful at current fair market value. With a lot of inventory available, deals like this one will be around for a while. Astute buyers shouldn't hesitate too long as the best homes are being snapped up by smart investors who realize that this housing problem has brought about a surge in renters and therefore a shortage of quality rental units. Florida now equals value in the real estate market. Buyers who have been sitting on the fence would do well to get off now and jump right in. If you don't know the Florida Market well, your best bet is to call a knowledgeable Realtor like Tali Wolder, she will give you a complete overview of the areas and communities and help you decide where to start. Perhaps the desirable Ibis Country Club?